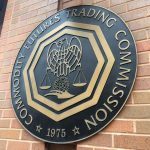 Information about fraud, manipulation or other violations of the Commodity Exchange Act and CFTC Rules are submitted on Form TCR. TCR is short for “tip, complaint or referral.” The form can be completed electronically on their website or submitted via mail/fax to the CFTC. You may submit a tip without an attorney, however, we recommend that you engage legal counsel to assist with the preparation of your submission, maintain your anonymity to the extent possible and advise you of legal issues that may arise. A separate form, Form WB-APP, is required to submit a claim for a reward. Form TCR has eight sections to complete and includes completion instructions, submission instructions and a privacy statement. Section A asks for information about the whistleblower, including contact information. Section B asks for your attorney’s information, if you are represented. Section C asks for the contact information of the individual or entity that you suspect of violating the law. Section D asks for information about the violation of the Commodity Exchange Act that is the subject of your complaint, the evidence you possess, and who you or your attorney have contacted at the CFTC or elsewhere. Section E asks for information in order to determine your eligibility for a whistleblower reward. Section F and Section G contain the whistleblower’s declaration and, if applicable, counsel certification. 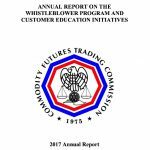 The CFTC considers whistleblower tips confidential and will reveal a whistleblower’s identity only in limited circumstances. If you choose to reveal your identity when you submit a tip or make an award claim, Section 23(h)(2) of the Commodity Exchange Act requires the CFTC to withhold information that could reasonably identify a whistleblower. For example, it will not reveal its whistleblowers through a Freedom of Information Act request. 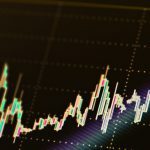 There are, however, limited circumstances where the CFTC may disclose a whistleblower’s identity or information that could lead to disclosure of his or her identity. It can release it to various government or regulatory bodies, often through a confidentiality agreement. It will release your information if required to in a public proceeding, such as if it is ordered to disclose the information by a court. It will also make relevant disclosures pursuant to the Privacy Act of 1974. The CFTC has also provided a process for individuals to submit their tip without revealing their identity. Form TCR can be submitted anonymously to the CFTC according to Section 165.4(b). However, they suggest the whistleblower provide either an email or phone number in case it is necessary to follow up during the course of their investigation. If represented by counsel, the attorney can serve as the point of contact. If you wish to claim your award anonymously after submitting the whistleblower tip anonymously, the CFTC requires a lawyer represent you and submit your award claim through the procedures set forth in Section 165.7(c)(2). Your attorney will retain the original Form WB-APP and provide a duplicate to the CFTC without your signature. At their request, your attorney will need to provide the original award request form with your signature and verify your identity in an acceptable manner. Your identity will be disclosed to the CFTC in order to take possession of the reward. Eric L. Young and the McEldrew Young CFTC whistleblower attorneys are familiar with the steps necessary to protect your identity. Eric represented the first whistleblower paid through the new IRS tax whistleblower program and maintained the anonymity of his client from the public throughout the process. If you would like to discuss how to submit a whistleblower tip to the CFTC or have other questions about the CFTC whistleblower program, please call 1-800-590-4116 to reach Eric or another attorney at McEldrew Young.